Corbel Capital Partners successfully realizes its structured investment in Supplier Management Solutions, Inc.
Corbel Capital Partners fully realized its structured investment in Supplier Management Solutions, Inc. (“SMS”) with the acquisition of SMS by the TRIGO Group (“TRIGO”), a portfolio company of Ardian (fka AXA Private Equity). TRIGO announced that the move will provide them a robust platform in North America. Over the past four and a half years, Corbel provided creatively structured capital to help transform SMS into a key strategic acquisition target for TRIGO. This exit represents an excellent outcome for SMS and substantially validates Corbel’s ability to act as a value-added capital provider in the lower middle market. Corbel Capital Partners closed a structured investment (the “Transaction”) into Baker’s Computer Services, LLC (“BCS” or the “Company”) in the form of senior secured debt and common equity. Headquartered in Springdale, AR, BCS primarily repairs and services retail point-of-sale hardware on behalf of national technology support staff and equipment manufacturers. Corbel made the investment in partnership with Fields Texas, LTD and the Cave Springs Group, LLC, independent sponsors located in Austin, TX, and Cave Springs, AR, respectively. Corbel’s flexible capital solution and operationally-supportive partnership further demonstrate its ability to creatively structure investments alongside independent sponsors. Corbel Capital Partners closed an add-on investment (the “Transaction”) into a Leading Trucking Company (“Company”) in the form of senior secured debt to provide liquidity and support the continued growth of the Company. The Company was formed through the rollup of three New England-based entities which include: dedicated truckload services, less-than-truckload services, and courier delivery. Corbel made the add-on investment in partnership with Edition Capital Partners – a transportation and logistics focused independent sponsor located in New York, NY – continuing to demonstrate Corbel’s ongoing portfolio support alongside the independent sponsor. Corbel closed a follow-on investment (the “Transaction”) for its portfolio company Northwest Medical, LLC (“NWM”) in the form of additional senior secured debt to support the continued growth of the Company. Concurrent with the Transaction, NWM merged with Valley Healthcare Group, LLC (“VHG”). Corbel’s flexible capital solution enabled Corbel to increase its investment to create a larger combined entity that has geographic reach across 5 states serving approximately 70,000 patients annually. NWM and VHG are leading regional providers of durable medical equipment and sleep studies with a focus on Continuous Positive Airway Pressure (“CPAP”) equipment and ventilators as well as disposables supplies and medical services. Corbel made the investment in partnership with Great Elm Capital Group Inc. (NASDAQ: GEC), a publicly-traded holding company that creates value for shareholders by building operating companies. Corbel Capital Partners closed a structured investment (the “Transaction”) into a Leading Trucking Company in the Northeastern US (the “Company”) in the form of senior secured debt. The Company was formed through the rollup of three New England-based entities which include: dedicated truckload services, less-than-truckload services, and courier delivery. Corbel made the investment in partnership with Edition Capital Partners, a transportation and logistics focused independent sponsor located in New York, NY. Corbel’s flexible capital solution and operationally-supportive partnership further demonstrate its ability to creatively structure investments alongside independent sponsors. Corbel Capital Partners closed a structured investment (the “Transaction”) into Mikada Cabinets, LLC (“Mikada” or the “Company”) in the form of senior secured debt and preferred stock to support the continued growth of the Company. Headquartered in Houston, TX, Mikada is a leading regional cabinet manufacturing and installation services company. Corbel made the investment in partnership with Cascata Platform Holdings, LP, an independent sponsor located in Dallas, TX , continuing to demonstrate the value of its flexible capital solution and ability to creatively structure investments alongside independent sponsors. Corbel Capital Partners closed the acquisition (the “Transaction”) of Northwest Medical, LLC (“Northwest Medical” or the "Company") in the form of senior secured debt and preferred stock to support the continued growth of the Company. 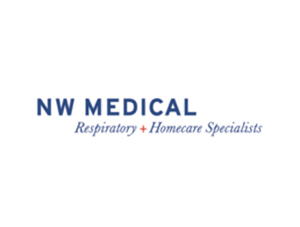 Founded in 1983 and headquartered in Portland, OR, Northwest Medical is a leading regional provider of durable medical equipment, specifically Continuous Positive Airway Pressure (“CPAP”) machines and ventilators, as well as disposable supplies and medical services, to customers who depend on the Company’s products and services throughout the duration of their treatment. Corbel’s flexible capital solution and operationally-supportive partnership will enable the Company to further expand its existing markets and provide added support for new product opportunities within Corbel’s deep bench of industry contacts. Corbel Capital Partners closed a structured investment (the “Transaction”) into Apothecary Health Solutions (“AHS” or the “Company”) in the form of senior secured debt to support the continued growth of the Company. Headquartered in Denton, TX, AHS operates compounding and retail pharmacies as well as an FDA registered outsourcing facility. A pharmaceutical leader in bio-identical hormone replacement therapy (“BHRT”), AHS is one of the nation’s largest suppliers of BHRT products, the most notable of which being testosterone and estradiol pellets. It also provides medications to medical professionals and patients in a variety of other fields, including dentistry, HIV, urology and pain management. Corbel Capital Partners closed a structured investment (the “Transaction”) into USTechSupport Corporation (“USTS” or the “Company”) in the form of senior secured debt and preferred equity to support the continued growth of the Company. Headquartered in Santa Monica, CA, USTS provides PC optimization software, antivirus software and remote desktop technical support services to customers globally. Corbel made the investment in partnership with Broadstream Capital, LLC, whom Corbel previously partnered with to acquired CSEP portfolio company Antares Audio Technologies, LLC as well as with original founder Mr. Gary Guseinov and his partner Mr. Sean Whiteley. This transaction continues to demonstrate the value of Corbel’s flexible capital solution and ability to creatively structure investments alongside independent sponsors and management teams. Corbel Capital Partners is pleased to announce the addition of Pavel Shoykhetman as Director of Finance. Pavel joins Corbel to provide further operational and financial support to Corbel’s portfolio companies, as well as assist in follow-on acquisition diligence. Pavel has more than a decade of experience in accounting and M&A advisory experience roles and brings a blend of those operational and financial capabilities to the firm. Pavel’s most recent experience was as a Director in the Transaction Advisory practice of RSM in Los Angeles, where he advised on nearly 100 transactions on behalf of private equity and strategic clients. Corbel Capital Partners closed an add-on investment (the “Transaction”) into Brooklyn Brands LLC (“Brooklyn”) in the form of additional preferred equity to support the continued growth of the Company. Brooklyn is a leading manufacturer and wholesaler of cookies, cakes, breads and pastries nationwide, primarily branded as Lilly’s Homestyle Bakery and Schick’s Gourmet Bakery. Proceeds from Corbel’s investment will be used to lease, equip and support an additional manufacturing facility that will expand Brooklyn’s capacity and enhance its ability to service a rapidly growing pipeline of customers. Corbel Capital Partners is pleased to announce the addition of Brian Yoon as Principal. Brian joins Corbel to source, execute, and assist in the management of incremental, new investment opportunities. Brian has more than a decade of experience across private equity and investment banking roles and brings a blend of those investment capabilities to the firm. Brian’s most recent experience was as a Managing Director at Deerpath Capital Management in Los Angeles where he led West Coast origination and underwriting of lower middle-market direct lending transactions. Corbel Capital Partners closes structured add-on investment into portfolio company INI Power Systems, Inc.
Corbel Capital Partners closed a growth investment (the “Transaction”) into INI Power Systems, Inc. (“INI”) in the form of additional convertible preferred stock. INI’s portable power solutions are used to provide light-weight and efficient mobile power generation and battery recharge capabilities to dismounted soldiers in forward and austere locations. Proceeds from Corbel’s investment will be used to expand INI’s business development efforts and support its growth ahead of sizeable, new purchase orders. Corbel Capital Partners fully realized its structured investment in Corbett Aggregates Companies, LLC (“CAC”) with the acquisition of substantially all of the assets of CAC by U.S. Concrete, Inc. (NSDA: USCR) (“U.S. Concrete”). U.S. Concrete announced that the move strengthens its aggregates capacity and ability to supply to its New York City ready-mixed concrete operations. This exit represents an excellent outcome for CAC and substantially validates Corbel’s ability to act as a value-added capital provider in the lower middle market. Over the past two years, Corbel provided creatively structured debt capital and operational support to help transform CAC into a key strategic supplier of concrete-grade sand. Corbel Capital Partners closed a structured non-control investment (the “Transaction”) into ARES Security Corporation (“ARES” or the “Company”) in the form of senior secured debt and preferred stock to recapitalize the Company alongside management and provide growth capital and operational support for expansion. Founded in 1999, ARES provides software and services to optimize security by objectively quantifying and managing the risks of international terrorist acts at high-value targets, such as commercial nuclear power plants and sea ports. Corbel’s flexible capital solution and operationally-supportive partnership will enable the Company to penetrate its existing markets and provide added support for new revenue opportunities within Corbel's deep bench of industry contacts. Corbel Capital Partners closed a structured investment (the “Transaction”) into Antares Audio Holdings, LLC (“Antares” or the “Company”) in the form of senior secured debt and preferred equity to support the continued growth of the Company. The Company, headquartered in Scotts Valley, CA, is a provider of proprietary audio signal processing software, including the product “Auto-Tune”, used throughout the music and performance industry to enhance audio production, including pitch correction, pitch effects and quality improvements for voice and instrumental music. Corbel made the investment in partnership with Broadstream Capital, LLC – an independent sponsor located in Los Angeles, CA – continuing to demonstrate the value of its flexible capital solution and ability to creatively structure investments alongside independent sponsors. Corbel Capital Partners closes structured investment into INI Power Systems, Inc.
Corbel Capital Partners closed a structured investment (the “Transaction”) into INI Power Systems, Inc. (“INI” or the “Company”) in the form of senior secured debt and convertible preferred stock to recapitalize the Company alongside management and provide growth capital and operational support for expansion. Headquartered in the Research Triangle area of North Carolina, INI’s portable power solutions are used to provide light-weight and efficient mobile power generation and battery recharge capabilities to dismounted soldiers in forward and austere locations. Corbel’s flexible capital solution and operationally-supportive partnership will enable the Company to continue its significant sales momentum and capitalize on new revenue opportunities within Corbel's deep bench of industry contacts. Corbel Capital Partners closed a structured investment (the “Transaction”) into Brooklyn Brands LLC (the “Company”) in the form of senior secured debt and preferred equity to support the continued growth of the Company. The Company, headquartered in Brooklyn, New York, is a leading manufacturer and wholesaler of cookies, cakes, breads and pastries nationwide, primarily branded as Lilly’s Homestyle Bakery and Schick’s Gourmet Bakery. Corbel made the investment in partnership with Astor Group Capital – an independent sponsor located in New York, New York – continuing to demonstrate the value of its flexible capital solution and ability to creatively structure investments alongside independent sponsors. Corbel Capital Partners closed an add-on investment (the "Transaction") into Corbett Aggregates Companies, LLC ("CAC" or the "Company") in the form of additional senior secured participating loan. CAC is a State of New Jersey licensed sand and aggregates mining and material supply company with significant sand reserves at its Quinton, New Jersey sand mine. Proceeds from Corbel's investment will be used to lease, refurbish and equip a marine terminal in North Short, Staten Island, New York to realize significant cost savings and improve the efficiency of CAC's marine transport operations. Corbel Capital Partners closes structured investment into Jariet Technologies, Inc.
Corbel Capital Partners closed its structured investment (the "Transaction") into Jariet Technologies, Inc. ("Jariet" or the "Company"), in the form of senior secured convertible debt, to support the continued growth of the Company and accelerate development of future products. 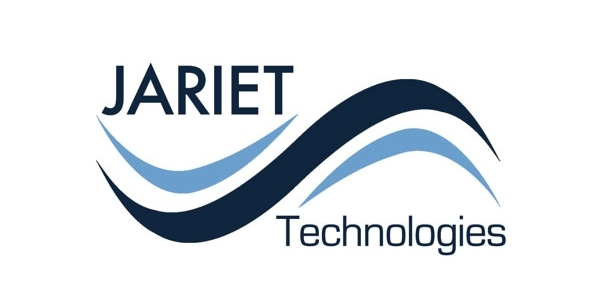 Jariet, headquartered in Redondo Beach, CA, is a fabless semiconductor company focused on digital microwave integrated circuits and modules, microwave and millimeter-wave transceivers, and high speed data converters, for next generation wireless infrastructure and aerospace and defense applications. Corbel Capital Partners closed its structured investment (the “Transaction”) into Cosmetic Design Group, LLC (“CDG” or the “Company”) in the form of senior secured debt and common equity to support the continued growth of the Company. CDG is headquartered in Culver City, CA, and offers a diverse range of nail and cosmetic products, specializing in full turnkey solutions and providing one-stop design and sourcing services for national brands and their retail customers. Corbel made the investment in partnership with Five Crowns Capital, LLC - an independent sponsor located in Newport Beach, CA - demonstrating the value of its flexible capital solution and ability to creatively structure investments alongside independent sponsors. Corbel Capital Partners is pleased to announce that on March 18, 2015 it concluded its fundraising efforts for Corbel Structured Equity Partners, L.P. and affiliates, with aggregate capital commitments of $91 million, exceeding its $75 million target. Together with investments in its co-investment special purpose vehicle, Corbel’s current capital under management is $95 million. Corbel Capital Partners closed its structured investment (the “Transaction”) into Corbett Aggregates Companies, LLC ("CAC" or the “Company”) in the form of a senior secured participating loan. CAC is a State of New Jersey licensed sand and aggregates mining and material supply company with significant sand reserves at its Quinton, New Jersey sand mine. Proceeds from Corbel’s investment will be used in part to purchase a certified marine barge and upgrade related capabilities, which will allow the Company to achieve the significant cost efficiencies associated with marine transportation of sand versus traditional trucking. Operational support will be available to the Company from Corridor Capital in the form of financial planning and accounting assistance as the Company further institutionalizes its finance department. Corbel Capital Partners closed its structured investment into Supplier Management Solutions, LLC (“SMS” or the "Company") in the form of a senior secured loan plus warrants. 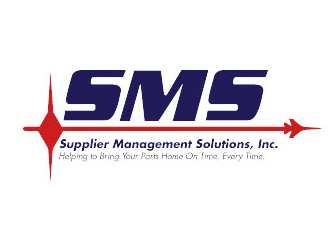 SMS provides outsourced supplier management services to prime contractors and tier 1 suppliers in the aerospace and defense market. Corbel provided SMS with a creative capital solution that enabled the founder to bring on an operationally focused partner to help execute on its growth strategy.